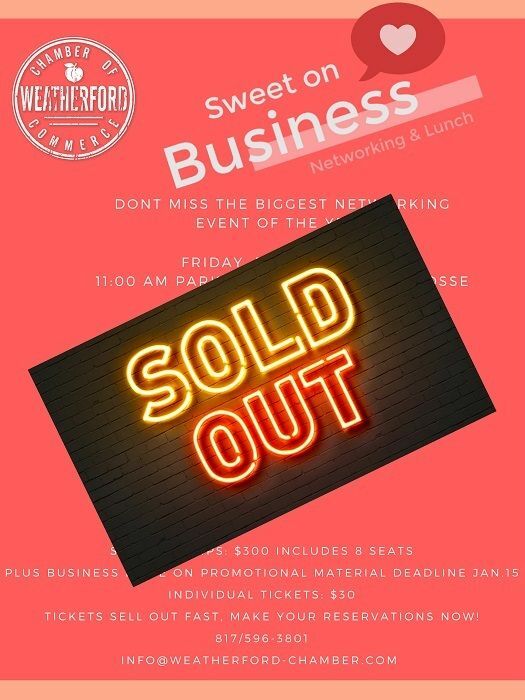 Sweet On Business takes place the Friday before Valentine's Day. This networking lunch is a sweet deal! Your goal is meet at least 21 new contacts. You will switch tables three times during the lunch to grow your business contacts. You may register online. If you are interested in sponsoring this event, contact the Chamber. This is the largest networking event of the year and it always sells out. Make your RSVP quick!